.......53 Buddhas and Me .................My Life Adventures.....: "My Mum Joan"
Today I woke feeling pretty down as it is the 2year anniversary of my Mum passing away - actually at 11.11pm tonight. So I took myself of for an early morning walk to clear my head and between Mum & I we worked on my brain. So if you don't mind tonight I am going to indulge m yself and talk about my Mum. She was a pretty modern woman for the time she was born and thanks to her I am the strong independent woman I am today. When Mum passed away she was about two months of turning 92. 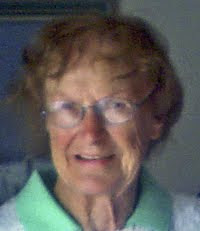 She was really well, and still did all of her household stuff as cooking, cleaning and looking after Dad. Her body basically just gave out from age and after having three nights unconscious in hospital she passed away very peacefully. I had the privilege of being with her and the whole experience has made me very aware of things that I wasn't before and I just now know things that I didn't know before. Not to go into things to much, I know while she was unconscious she could hear me as she grunted when I said things that I knew she had a lot of feelings about. Also when she did pass, all of the wrinkles on her face just vanished right before my eyes. I also felt her hold my body with the most amazing love I have ever felt in my entire life. Being an only child I have not had anyone to share my loss of a parent grief with but my family have been wonderful. I know that Mum is with me a lot and it has been proven to me with a physical weird thing that all of a sudden has started happening to me that used to happen to her. I know some people will think I am a bit weird, or I am imagining things, or believe I feel her with me because I want her to be and that is OK. But as I have said earlier I just now know things that I didn't know before. Thank your for sharing a wee part of your Mom with us Davine. I can relate 100% to what you say about being able to physically feel her. My Mom passed on seven and a half years ago, I can feel my mothers energies at times, it seems to be at times when I need the energies the most. When the anniversary rolls around of my mothers death it does something to me emotionally and physically, hard to explain and it would be so great to sit and have cup of tea and chat about this sort of thing. You might be an only child but you have a friend here, a virtual sister so to speak! :-) Do you have my email address for those times when you want to share or would you feel comfortable sharing with me? If you do not have my email it is darlenemarchuk@yahoo.ca please feel free to email me anytime you choose. Hugs sent your way across the miles today Davine. A very moving post Davine. You can be glad that you and your mum had such a close relationship. I'm sure it was a blessing for both of you that you were there with her at the time she passed away. As hard as these moments may be, they are precious. Thank you for sharing such a lovely post about Joan, Davine. Sending you a (belated) hug. "Watching the World Go By"